Finding the perfect wedding day hairstyle to align with your wedding dress, theme and location, can be one of the most daunting tasks for us naturalistas. In 2017, many brides are leaning towards a more classic and subtle natural hairstyle that will reduce concerns throughout their wedding day. 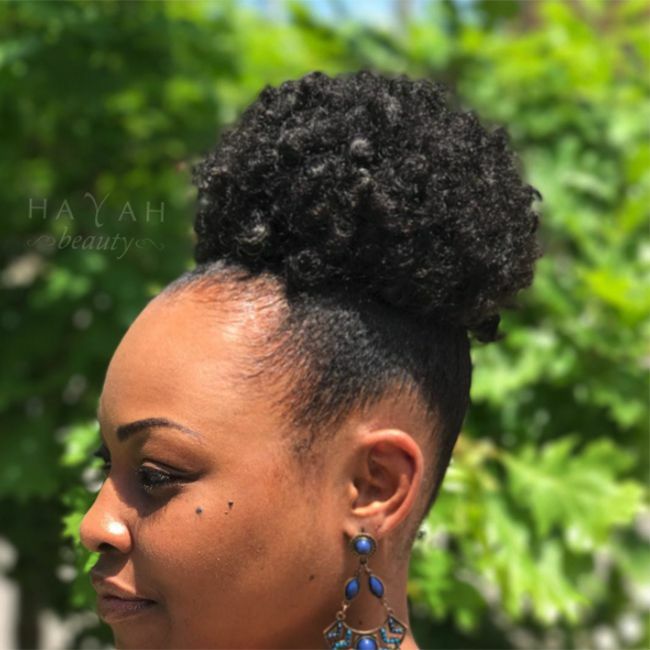 Since preparation is key to a stress-free bride, we reached out to natural hair expert Darrius Peace of Hayah Beauty to share some 2017 natural hair trends and tips for your wedding day. What type of styles are brides requesting the most this year? This year brides are requesting naturally textured chignon styles. This variation of buns pinned off of the nape offers a classic highlight of the face while also providing options that do not interrupt the bridal headpiece; i.e. blushers, veils or fascinators. What natural hairstyles do you think will trend for 2018 brides? The forecasted style options for 2018 brides go from one end of the spectrum to the other. Brides will either request simple chic bun styles or highly elaborate up styles that incorporate numerous buns with sleek edges. How do you help brides select their wedding day hairstyle? The selection process and determined by the bride's personality and her dress style. Brides with more minimal and laid back personalities usually opt for easy style options that will translate into their honeymoon vacation. Brides who are a bit more elaborate will typically opt for a style option for the ceremony that will transition into a different style for the reception. These brides will typically keep it jazzy by wearing wig options for their honeymoon. All of these options are great and work well for various bride personalities. 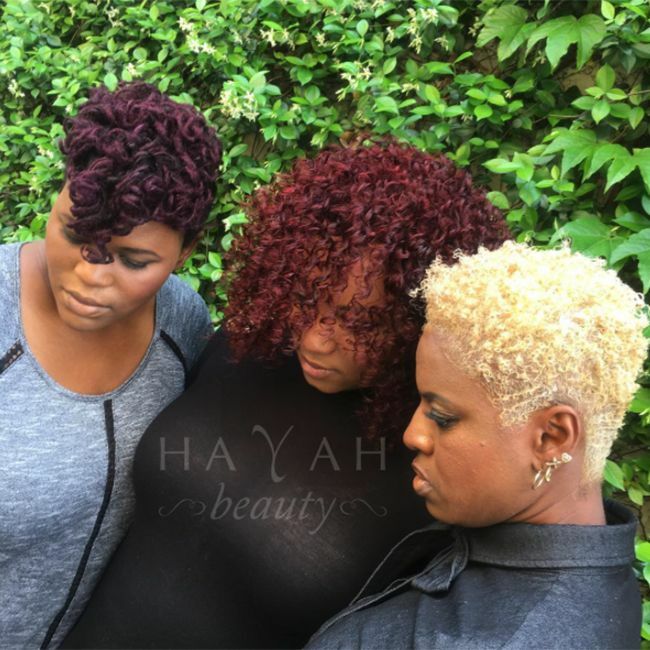 What type of hairstyles do you recommend for a bride that has recently big chopped with a TWA? Brides who have recently "big chopped" with a TWA, can definietely sport a sophisticated coil set. 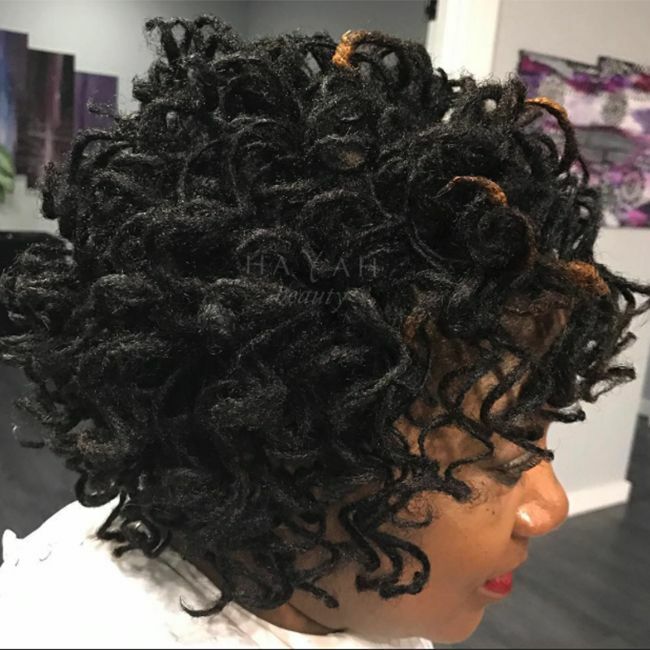 This style option is ideal as it offers enhanced definition to any curl texture, while also offering longevity and low maintenance, easily transitioning into a honeymoon style. What's your favorite wedding hairstyle for loc'd brides? I love sweeping Locs to the side with cascading curls. This allows us to showcase refinement and elegance in a style option that society will typically frown upon. I find beauty in knowing that this style option redefines bridal standards. For those who would prefer a protective style, without losing the natural hair look, what style option would you recommend that's trending in 2017? I believe that every natural style should be a protective style. So, instead of using the term "protective style ", I like to use the term "preservation style". This is a more accurate description because these style options help to retain growth and healthy condition. Curly/wavy sew in extensions are really great options Bruce they offer beautiful texture and definition, while also creating a beautiful frame on the bride's face. These style options also transition into the honeymoon beautifully. Want more inspo for your wedding day? Check out @darriuspeace on Instagram!